J.R. AUTO OIL SEALS (KLANG) SDN. BHD. For top notch automotive products such as hydraulic seals, oil seal, pneumatic seal, transmission filter, absorber, gasket and other related products in Malaysia, JR Seal is the best choice for you. As a supplier to these products, we understand that our clients need reasonable yet top performance products especially to heavy vehicles such as tractors and whatnot. Thus, we assure you that our products are well-known for its' performance and these products such as hydraulic seals, oil seal, pneumatic seal, transmission filter, absorber, gasket and other related products can be purchased through our main office or branches all around Malaysia as well as in Beijing. NO. 249 & 251, Jalan Selingsing 7, Titian Waris Business Park, Off Jalan Kuching, 51200 Kuala Lumpur, Malaysia. Driven by the mission of creating competitive value to operate sustainable market, we decided to implement strategic of restructuring the new form of company image. 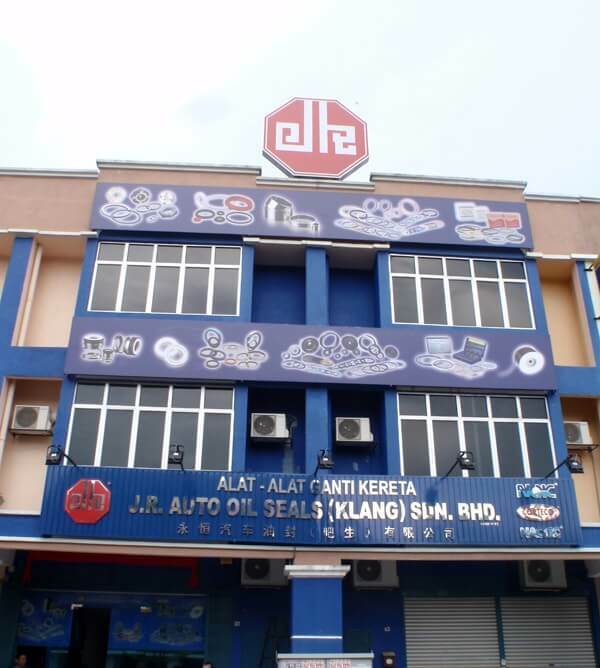 In 2010, J.R. Auto Oil Seals Sdn Bhd. (Puchong outlet) is founded in Puchong area. Puchong is expected to witness further development in the near future and serving as a commercial area for multinational companies, such as dhl, george kent, many well known and medium enterprise, industrial and food industry and so on. With these advantages, we have decided to establish J.R. Auto Oil Seals Sdn Bhd. (Puchong outlet), and to strive for sustainable oil seal market in Malaysia. NO. 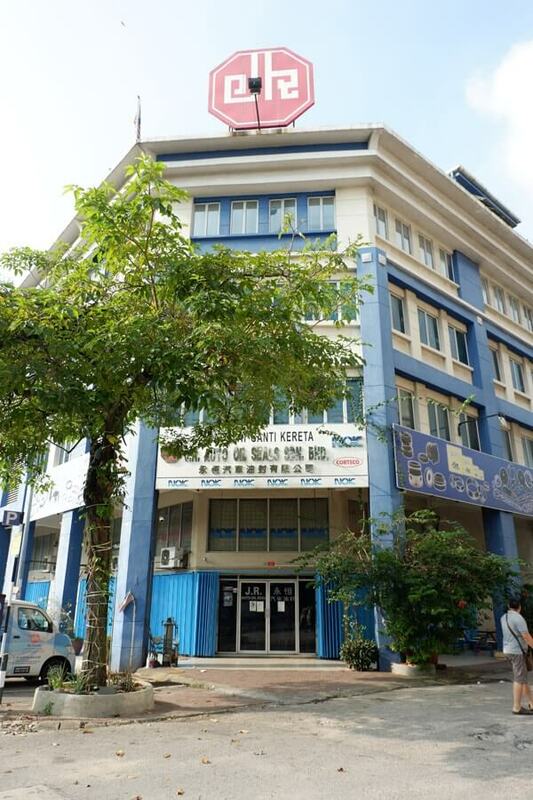 31, Jalan OP ½, Pusat Perdagangan, One Puchong, Off Jalan Puchong, 47160 Selangor, Malaysia. Driven by the mission of creating competitive value to operate sustainable market, we decided to implement strategic of restructuring the new form of company image. In 2014, J.R. Auto Oil Seals Sdn Bhd. (Cheras outlet) is founded in Cheras area. Cheras is expected to witness further development in the near future and serving as a commercial area for multinational companies, such as dhl, george kent, many well known and medium enterprise, industrial and food industry and so on. With these advantages, we have decided to establish J.R. Auto Oil Seals Sdn. Bhd. (Cheras outlet), and to strive for sustainable oil seal market in Malaysia. NO. 229, Jalan Mahkota, Taman Maluri, Cheras, 55100 Kuala Lumpur, Malaysia. J.R. Auto Oil Seals (Klang) Sdn. Bhd. Is Founded In 2004, as the forth branch of J.R. Group. Klang is a district of the state of Selangor, Malaysia. With a district-wide population of over 1 million, Klang is the third largest urban area in Malaysia. We are soon had selected Klang as our commercial center. We are emerged as a marketer and distributor of variety brands and oil seals with an emphasis on automotive spare parts customers. We attribute superior product quality and commitment to customer service, although we face strong competitors in Klang area. To strive for the wholehearted satisfaction, we closely follow to the commitment through the products quality and pricing factor. With these issues, we earned the respect and trust of all customers. Back to the year 2010 September, with more expected J.R. Auto Oil Seals (Klang) Sdn. Bhd. Has move to a new office to expand of its structure. In addition, we continue to enhance our structure capabilities and economics, in order to become a brand acknowledged for personal commitment and local strength. NO.14 & 16, Jalan Kuda 1/KU 1, Off Jalan Bukit Kuda, 41300 Klang, Selangor, Malaysia.